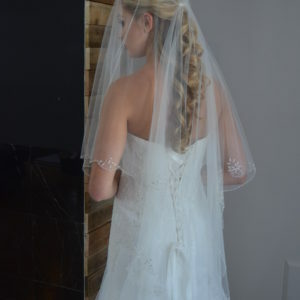 Home / 2018 Spring Veils / Elena Designs style E1212 Royal cathedral length veil with floral lace embroidery along the edge with rhinestone accents. 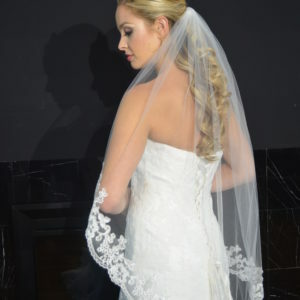 Elena Designs style E1212 Royal cathedral length veil with floral lace embroidery along the edge with rhinestone accents. 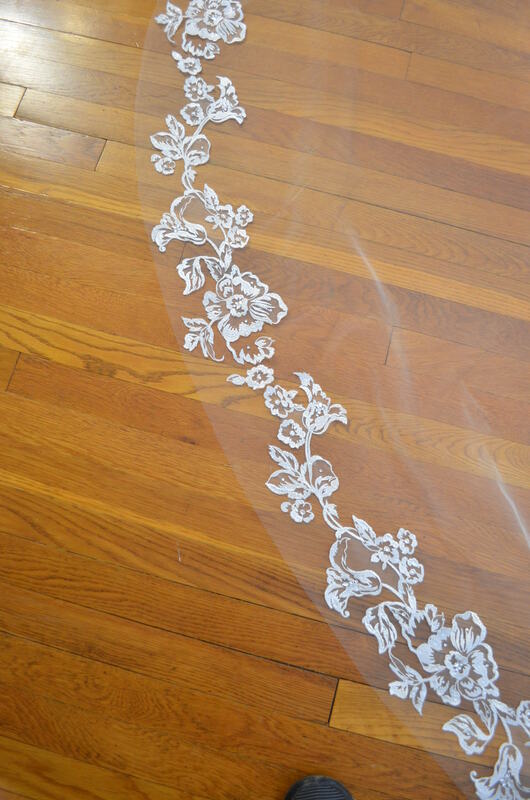 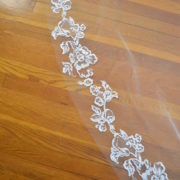 Royal cathedral length veil with floral lace embroidery along the edge with rhinestone accents. 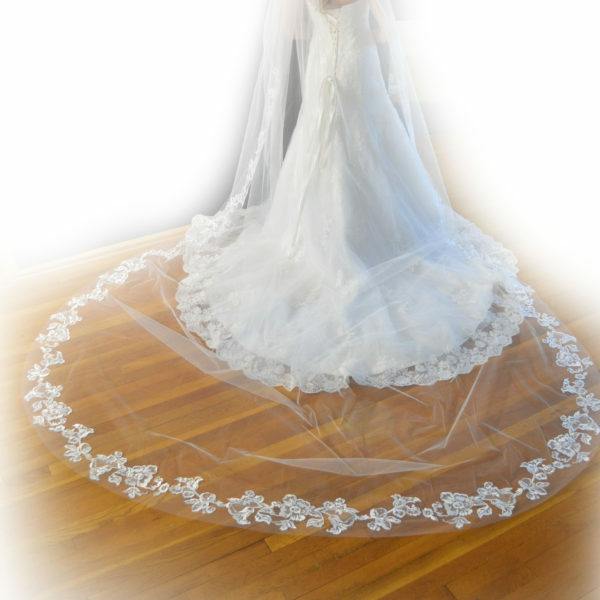 Elena Designs style E1208 One tier fingertip length with lace edge with clear sequins & beading. 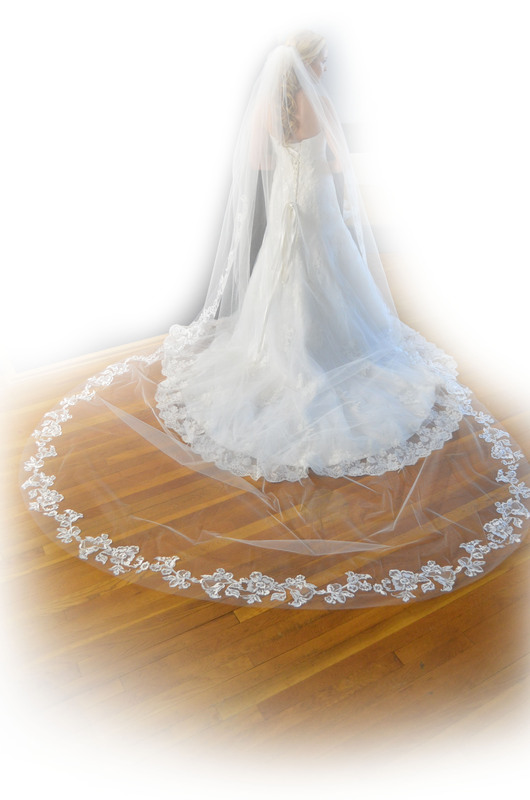 Elena Designs style E1215 Two tier fingertip length veil with beaded scallop edge & rhinestone accents. 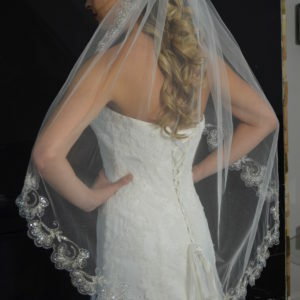 Elena Designs style E1213 One tier fingertip veil with silver embroidered scallop edge with beading & sequins.